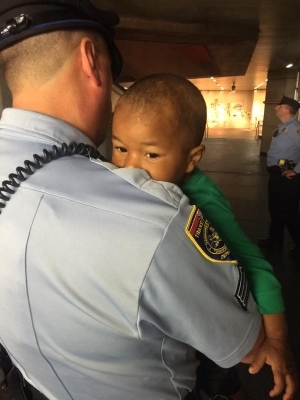 A 2-year-old boy was found wandering alone and barefoot in LOVE Park in Center City overnight Friday night. A pedestrian saw the boy in the park and flagged down a SEPTA transit officer around 11:50 pm. He was taken to Children's Hospital of Philadelphia for evaluation. The boy was wearing a long sleeve green shirt, black running pants, and a diaper, but did not have shoes or socks. Shortly after the child was found his parent's contacted police to report him missing. His mother, 27-year-old Angelique Roland, and father, 24-year-old Michael Jones, had just gotten kicked out of their home and planned to spend the night in the park after having trouble finding space in a shelter. Their son had wandered off after the family fell asleep. They also have a 4-year-old daughter who was with them. The two children have been placed with DHS at least until they have a roof over their heads. No charges have been filed. The investigation is ongoing. An arsonist in Delaware County died Friday night in the fire he set while trying to kill his girlfriend who escaped. It happened 11:30 p.m. Friday inside a twin home on the 200 block of Collingdale Avenue in Collingdale, PA. The unidentified man set a second floor bedroom on fire and blocked the door so his girlfriend couldn't escape. However, she jumped out the window onto a nearby roof and he was trapped inside. Firefighters couldn't enter the house to save him until battling back the flames. He was pronounced dead at the scene. The girlfriend was rescued from the roof. Apparently they had a history of domestic disputes. The identify of the man has not been released pending family notifications. Philadelphia Police are searching for a missing endangered woman. 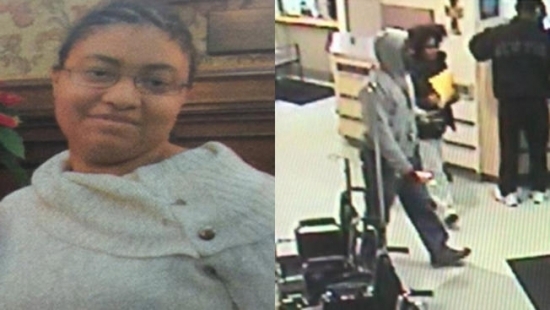 20-year-old Chaniece Benn was last seen leaving Mercy Philadelphia Hospital on 501 S. 54th Street Saturday at 3:54 a.m. with an unidentified man. She suffers from cerebral palsy and has a diminished mental capacity. Benn is described as medium-build, 5' 1", 130 lbs, brown eyes, straight black shoulder length hair, light brown complexion. She was wearing black hooded jacket, khaki pants, black shirt, and black sneakers with a silver stripe. If you have any information on their whereabouts, please call the Southwest Detective Division at 215-686-3183/3184 or 911. See picture below.